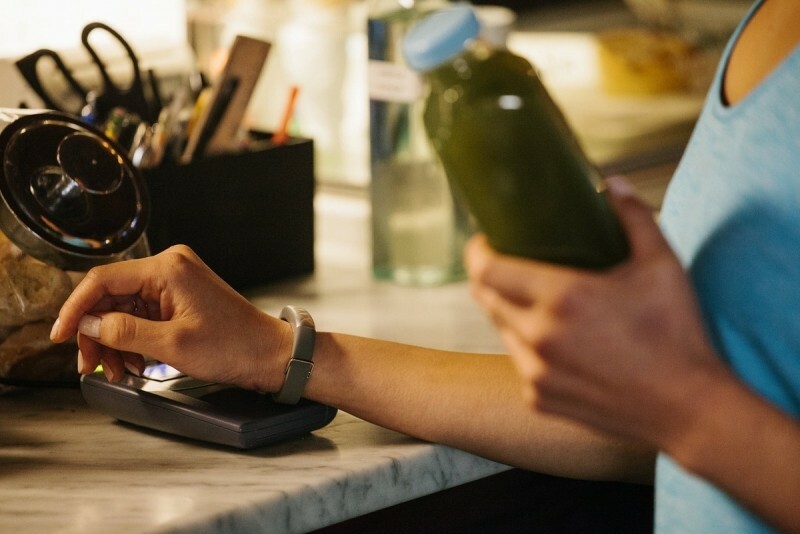 Jawbone has unveiled a brand new fitness tracker, the Up4, and for the first time it includes an NFC chip, allowing you to make contactless mobile payments on the go. However the payment service is only available to American Express customers at this stage, who will be able to link their card through the Jawbone Up application on Android and iOS. To protect the user's privacy and ensure the system is secure, no payment information or history will be displayed from within the Up app itself. The payment system also uses a secure tokenization solution that's similar to the implementation that Google uses for their payments system, ensuring no unwanted abuse. Aside from the inclusion of NFC-based mobile payments, the Up4 retains all the same features as its predecessor, the Up3. This means you get a heart rate monitor, sleep tracker and step counter, as well as a personalized coach that motivates you towards goals from within the Up application. The Jawbone Up4 will go on sale this summer for $199, which is $20 more than the previous-generation Up3. If you're after a cheaper device from Jawbone, the company also announced the Up2, a $99 successor to last year's Up24 that's available now. It has the same design as the Up3, but omits the heart rate monitor to keep costs down.